Every morning when my students come in, they unpack their backpacks, hand in notices, sign up for lunch, and "indicate how they are getting home." 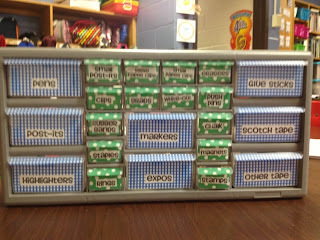 I have a clothespin with each of my students name on it. I actually painted them pink to match the theme of my room. They find their name, and simply move it to the designated area (bus, car, walking, leaving early, or staying after). You can download an updated version of my chart here at my TPT store for free. It also acts as an attendance count because the clips left are students who are absent! My students love to move their clip every morning. At the end of the day, my "organizer" moves all of the clips to the bottom. This has worked wonders for keeping track of where all of my students are going. I hope you find this helpful! I can’t help it.. I LOVE to organize. My friend’s think I’m crazy, but I consider “organizing” a hobby. 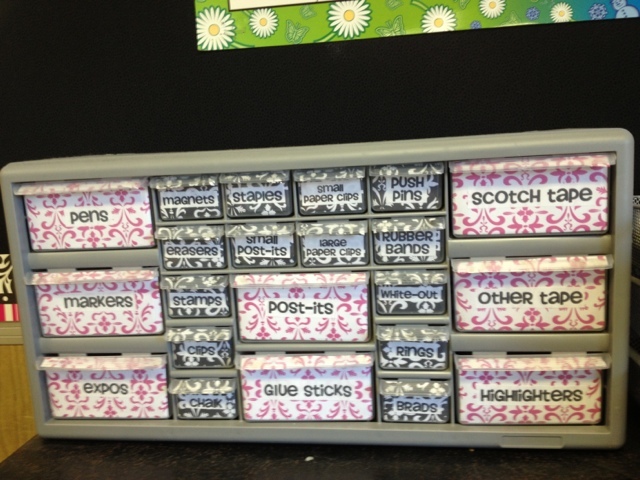 As a teacher I think it’s so important to be organized. I have 46 students!! 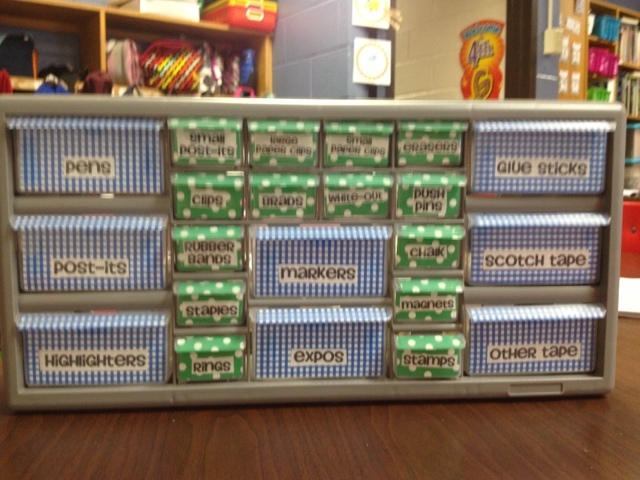 I found this idea on Pinterest and couldn’t wait to make my own Teaching toolbox. This was so easy to make! 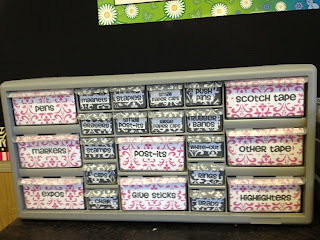 You can find the toolbox at Home Depot or Lowes and pick up scrapbook paper at any craft store. I cut the scrap paper to fit in the boxes. It was just trial and error. Then I printed up the labels I wanted to use and glued them onto my scrap paper. I even added scrap paper to each handle. I used glue dots to stick the paper to the boxes, this worked perfect because they are clear and really stick!! It’s the perfect tool kit to keep all of my “junk” organized! Now I’m never searching for a paper clip, glue sticks, or anything else! If you have any questions on how to make it, let me know!! I’d be happy to help. Teaching 4th graders how to take a stance might sound reasonable, but the hard part is teaching the students to support their opinion with actual reasons from research. Many of the Common Core State Standards address students taking a stance on an issue, supporting the issue verbally, and writing about it. We have been practicing this by reading articles, developing a stance once we are educated on both sides of the story, writing out our opinions, and then holding a debate. Recently we read about extending the school day, researched the topic, wrote our opinions, and then had a debate. The reason why I had the students write BEFORE the debate was to prepare them to speak. I wanted to make sure everyone was familiar with both sides of the topic and able to think out their opinion with supporting evidence before speaking. This was great because the student participation was much better and I held the students accountable for their opinions in their writing. 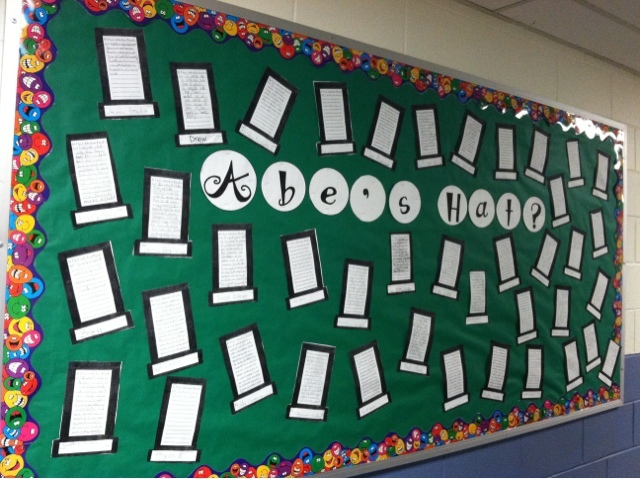 If students had a hard time participating, I slipped them their write up to remind them of what they wanted to say. When I first discussed this topic with my classroom I was certain the whole class would NOT want to extend the school day. I found it amazing that the class was split right down the center with students not in favor and in favor of a longer school day! 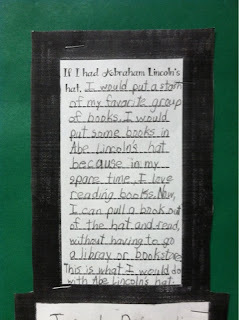 The students really took an interest in their research and opinion because it is a real life matter that effects them. Especially after hearing that other districts in Connecticut (not ours) are going to pilot the program of a lengthened day and possible year. 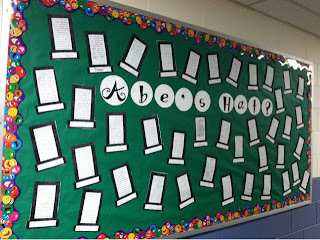 We then put our opinion writing in the hallway, on the bulletin board! Our class is lucky enough to receive Time For Kids. 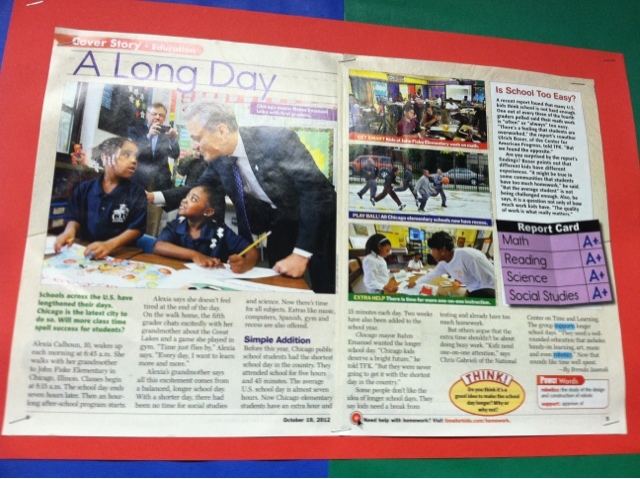 They have great nonfiction articles and usually feature a story for students to form an opinion on. 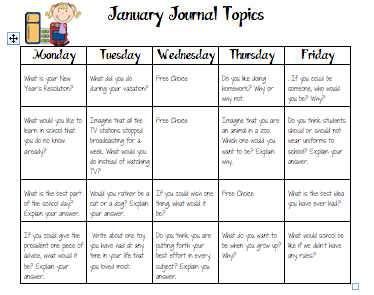 If you would like to try this activity, I would suggest looking online for student friendly articles. Be sure the article addresses both side of the argument. Our new unit is about opinion writing and turning it into a speech. We are going to do this activity with an article titled, "Should students have to wear uniforms to school?" 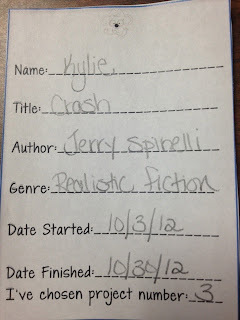 I am eager to hear what my student's thoughts are on this topic. I bought the envelopes at a teacher store near my town and made these library cards to put in them. On the bottom of the card it says “I’ve chosen project number:_____” that is referring to the Just Right Book projects I have my students do every time they finish a book. Some can be completed quickly while others are a little more in depth. You can find the reading menu at my TPT store! 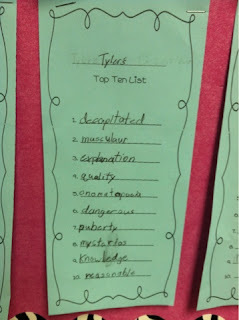 What are your top ten favorite words? Have you ever thought about this? If you are a reading and writing fanatic like myself, this is actually a tough question. I sat down to try to create my list and caught myself erasing and replacing words over and over again. As a PLC my fourth grade team decided to create a smart goal on vocabulary usage in writing. We started by gathering baseline data using a standardized assessment. We then brainstormed ways to boost up student vocabulary usage in our classrooms. A colleague suggested an idea in "6+1 Traits of Writing" that sounded interesting. 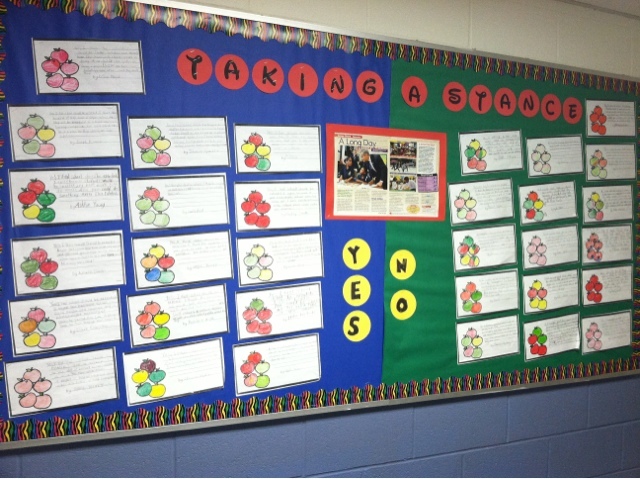 We then adapted the idea to fit our needs and came up with an on-going interactive bulletin board. That's my board below, but it is still a work in progress. That's my Top Ten Word List bulletin board, but it is still a work in progress. A student sample word list. 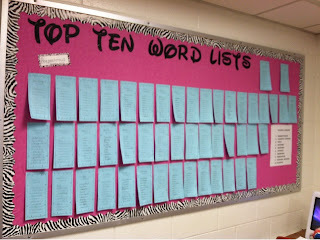 The point of the board is for the students to have a place to display their top ten word lists. 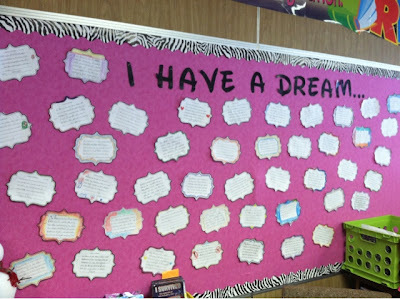 It is interactive because we constantly encourage the students to change their words based on the books they are reading, what they are learning about in other subjects, and words they hear from other student's word lists. I have my word list on the top, along with the principal's word list. We then talked about how our lists change based on our jobs and interests. The students couldn't wait to share their words with the class and each student tried to out do the next with multi-syllable words. Before the class even finished sharing their lists, kids already wanted to go and change their words. We make it a point a few times a week to have students share out any new words they added to their list and where they came from. We encourage the kids to add these words into their writing and use them in their everyday vocabulary. So far our class loves the word preposterous. 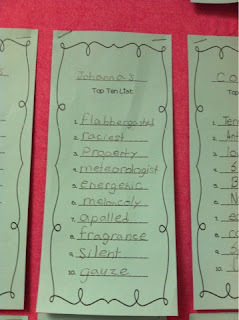 We found this word in a poem about a rhinoceros that we used for a lesson in class. Since then, I hear this world multiple times a day. It always makes me smile. 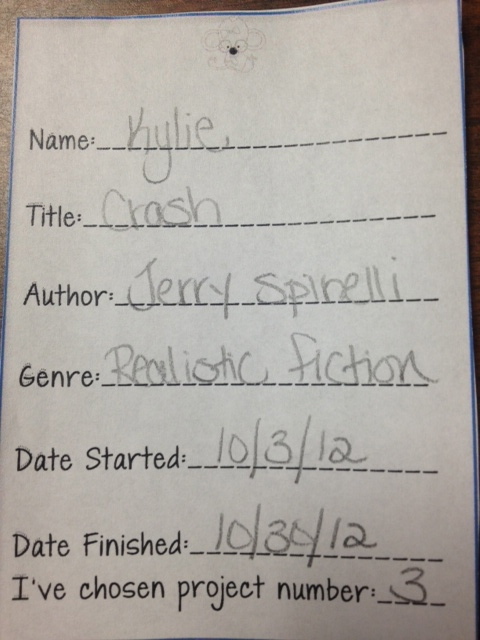 :) Hopefully my word-loving geeky self is rubbing off on my students! You can download my pretty version of the "Top Ten Word List" for free. What do you do in your classroom to promote vocabulary usage? I don't know about you, but we are constantly trying to teach our students how to collaborate with each other. By the time the students get to middle school, they should know how to work well in groups and be able to hold high leveled conversations. How do they get there? That's what I am struggling with this year. The CCSS hold students responsible for group work, but how can I make my students comfortable working in groups? What about the students who struggle to speak out, who are always absent, or even the other students who like to sit back and relax and let others do the work? I developed this rubric with my students needs in mind. We are studying empathy in our weekly Social/Emotional program, Second Step. I try to incorporate that information in my lessons with any chance I get. 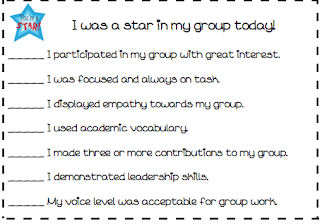 I introduced the students to the vocabulary used in the rubric and held them responsible for completing the rubric with a reflection as an exit slip whenever groups met in class. 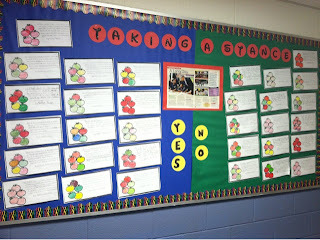 If the students did not complete all of their tasks, they had to come up with a plan of action on the back. I would then check in with that student during the next group meeting and remind them of their plan to become a Star Student for the day. 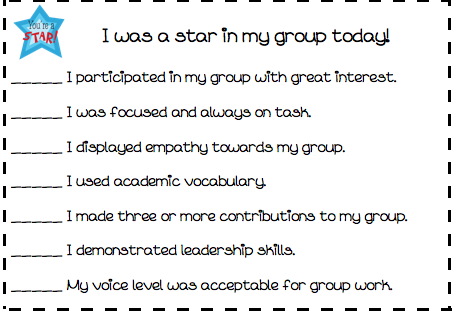 When the students do complete all of their tasks during group time, they explained on the back of the card, one of the tasks they completed. The card then gets folded and put into a raffle jar. Once a week I pick a few rubrics out of the jar and the students earn prizes. My students really bought into this idea and it turned into a great collaborative motivator. I liked it because not only were they able to keep track of their participation, but also I was able to monitor student progress constantly. I wasn't worried about students "cheating" because the group would tattle if someone entered the raffle and had not fully participated that day. These were also great to show at conferences because the parents were able to see where their child was lacking in participation. I hope this rubric works for you! Please let me know if you gave it a try or comment to tell me your tips on collaboration! Check out our TPT store! We've been busy! Pinkadots! Follow us for freebies and updates!